As I mentioned earlier, one of the things I like about making my own jams is that I can dictate how much sugar, if any, goes in with the fruits. As delicious as full sugar jams are – where the fruit to sugar ratio is at least 1:1, sometimes more! – that much sugar isn’t good. It can turn what would be 5 calories per tablespoon into 50. Ouch. Besides, sometimes it is nice to taste the fruit and not all the added sugar. 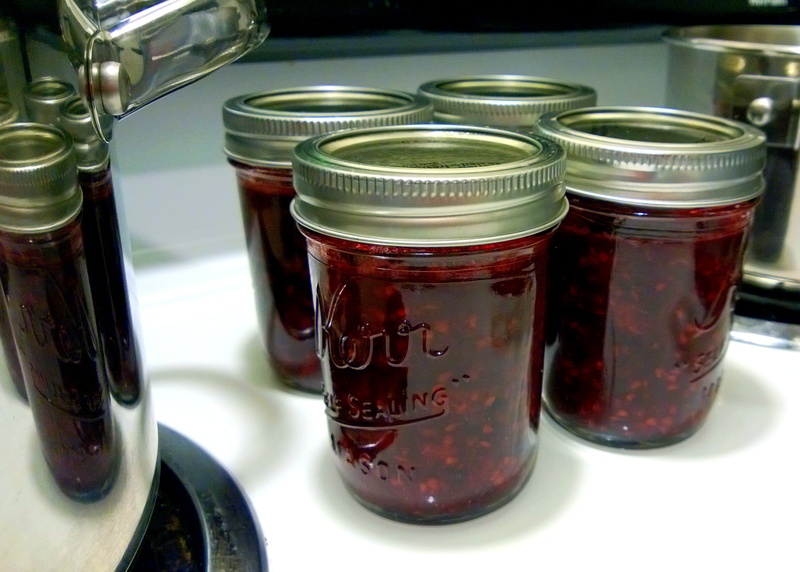 So, here is my recipe for Low Sugar Blackberry Jam. Instead of adding more sugar than fruit, I put in a fraction just to enhance the fruit flavour, not overwhelm it. Blackberries, while having a favourable f/g ratio, contain polyols, so this recipe will not be suitable to those sensitive to polyols. While I have linked instructions on how to preserve acidic foods, I found that the freshness of mine lasted approximately 3 months before they began to go south. I have a couple of theories as to why. Firstly, I stored mine on the shelf above the fridge, not realising how hot it got above there, which clearly wasn’t storing it in a cool place, no matter how dark it was. Secondly, sugar helps to reduce the water available for any flora present to use for metabolic processes; the fact that I didn’t add much sugar means that, even though I pressure canned these jams, one line of defense was gone. While I think that it was more likely the warm storage area, rather than the reduced sugar, that is the culprit, I will most likely make this as a freezer jam recipe in the future… just to be safe. 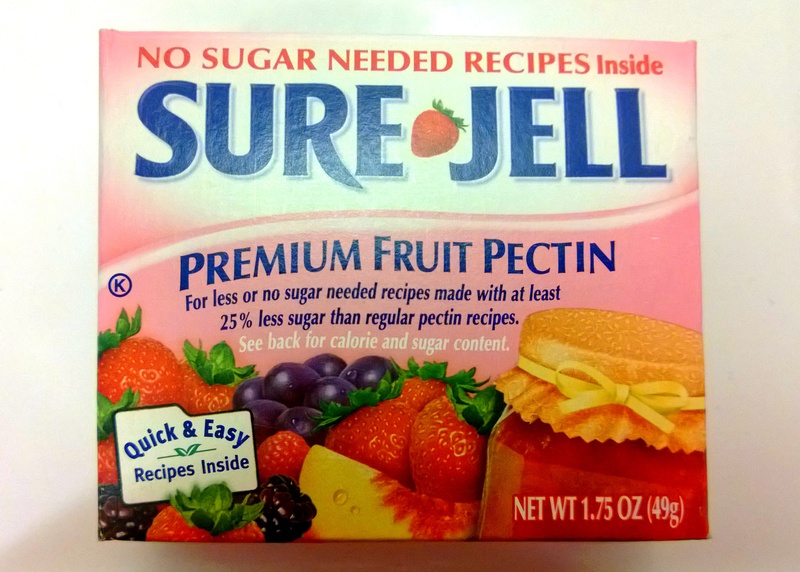 Using caloriecount.com I worked out that this jam will have 5-6 calories per tablespoon. Much better than 50! Some people like to de-seed their berries but I don’t mind a bit of texture. 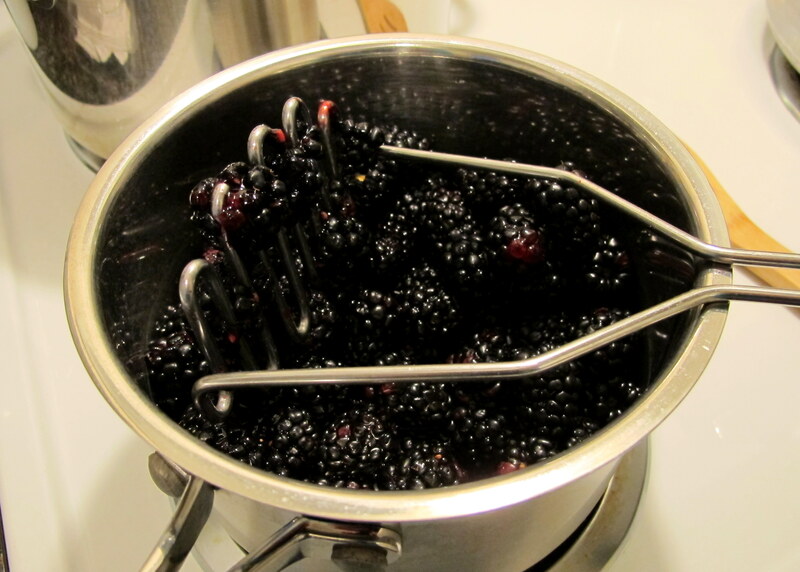 Place your blackberries, sugar, lemon juice and pectin in a saucepan and bring to the boil, all the while mashing the berries thoroughly. They will release a lot of liquid, so don’t feel like you have to add water. 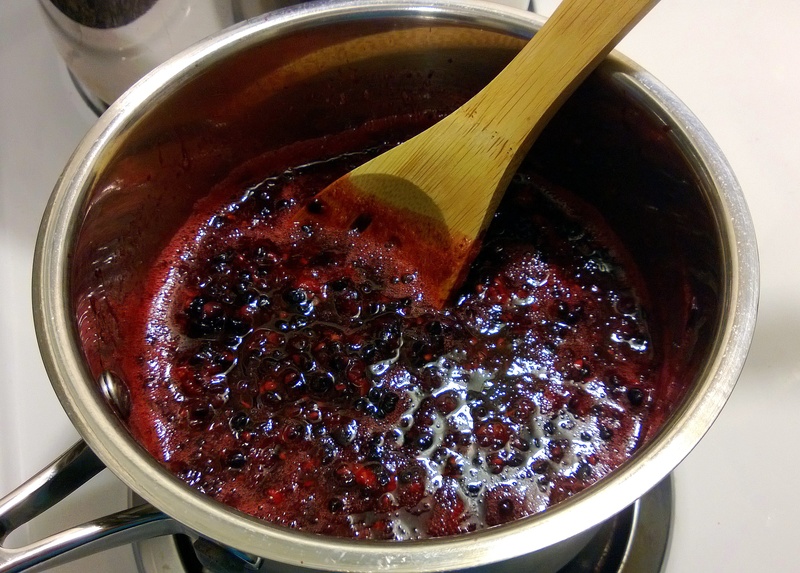 After the jam has boiled, let it simmer for 5 minutes and then fill your jars, leaving 2 cm of space at the top. 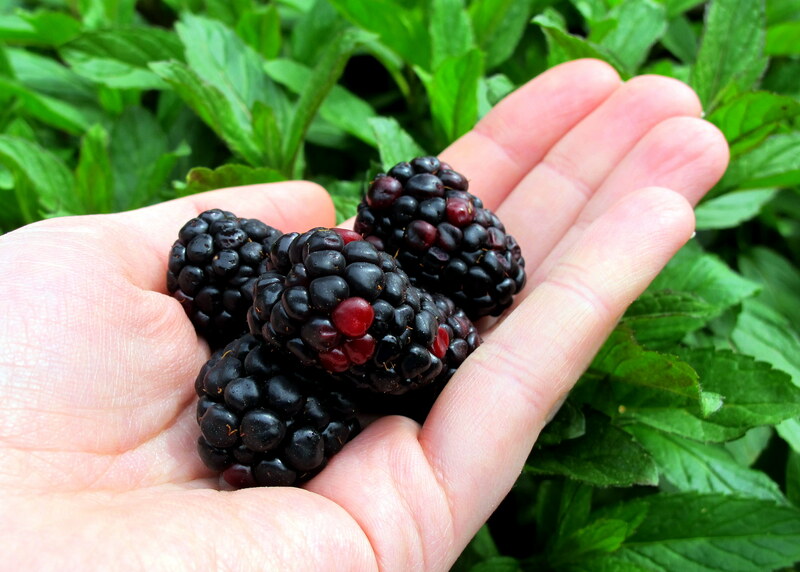 Follow the instructions on how to preserve acidic foods like blackberries. After processing the jars as for 10-15 minutes and letting them cool completely over night/for around 12 hours, make sure you test the seals with the magnet to see if they pop back up. If they do, they aren’t sealed properly and must either be re-processed or refrigerated straight away. The first time I made this jam, I used the entire 50 g box of pectin. It was really unnecessary; I like my jams to be a tiny bit runny, not like set jelly, so the second time I halved it to 25 g pectin and it worked perfectly. 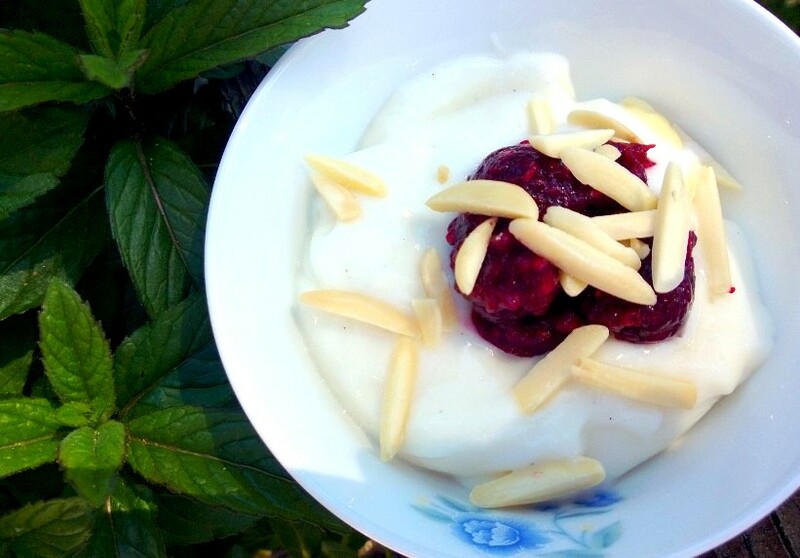 This jam is great spread on toast/muffins or served with yoghurt and some slivered almonds. Delish! A lot of people say that low or no-sugar jams are bland, but I disagree – I like tasting the actual fruit flavours. I don’t think adding the same amount of sweetener instead of sugar is any better for you than eating the original, except for lower calories. One problem I found when looking up low/no sugar jam recipes was that other recipes will have “no sugar added” jams that call for 2-3 cups of fruit juice (mostly apple or grape but not always)… to me, that is still adding sugar; what on earth do they think makes fruit juice sweet. As we have to watch our fructose load, that much sugar, even if it’s 1:1 glucose to fructose, would certainly affect some FMers out there. And don’t get me started about what would happen if I added apple or grape juice into something I ate! This entry was posted in Breakfast and tagged blackberries, blackberry, can, canning, dessert, food, fructose friendly, fructose malabsorption, fruit, gluten free, healthy, home-cooked, homemade, jam, jar, jelly, low fat, low fructose, low sugar, nuts, preserves, sweet, tart, vegetarian, water bath canning. Bookmark the permalink.